Some months ago when Universal Music wanted to commission New Zeaand artists to interpret songs from Bob Marley's catalogue, I was invited to write the proposal to be presented to the musicians. The musicians responded quickly and a few weeks ago I was invited to listen to a collection of these interpretations and, if I liked what I heard, write a press release and the album's liner notes. 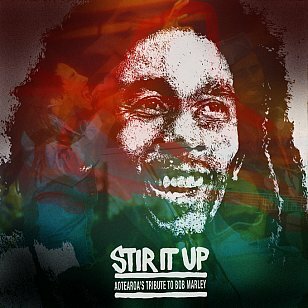 I certainly did like what I heard and so here offer a kind of mash-up of the proposal, press release and the liner notes for Stir It Up; Aotearoa's Tribute to Bob Marley. When Bob Marley – the world's first, and so far only, Third World superstar — arrived in the wider music landscape in the Seventies, his appeal was obvious: He wrote great songs and sang with soulfulness or urgency. But in Aotearoa New Zealand his appeal was more complex. 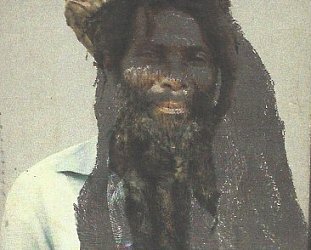 We embraced reggae's easy rhythm and many were seduced by the exoticism of Rastafarianism. 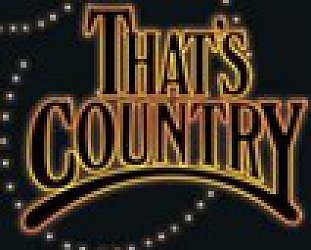 Today bands like Katchafire, House of Shem, Three Houses Down and others have extended that contract in this country. But Marley's political messages were more significant, especially in the context of the time. The early Seventies had seen the rise of Maori discontent over ignorance about Treaty of Waitangi principles and land issues, culminating in the '75 hikoi and the occupation of Bastion Point in '77-78. 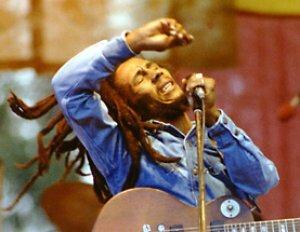 Into this volatile mix of aspiration, activism and anger came Marley's uplifting and affirming messages: “Get up, stand up, stand up for your rights”; “We know where we're from and we know where we're going” and more. For the marginalised or disenfranchised, these messages resonated with raw truth. Maori and Polynesian people, the latter suffering the indignity of notorious dawn raids, heard them in a specific way. Little wonder the charismatic Marley should have been so revered and accepted here. That Marley came from hardship only added weight to his message. Brother Bob – as we called him — sang about oppressors, hypocrites and corruption. He gave voice to the voiceless, spoke from and to the oppressed and dispossessed, and called on good people to come together in unity. 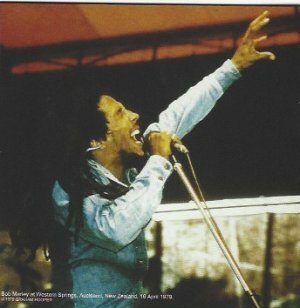 No other individual artist has had a greater impact on New Zealand music than Bob Marley. As the figurehead of reggae, Rastafarianism and self-assertion politics, Marley made such a powerful impact in this country that all these aspects of his personality and music resonate with us even now, in the second decade of the 21st century. Reggae is one of the bloodlines of popular music here — so much so we consider it our roots music — and Marley's politics struck a chord. On Buffalo Soldier he sang, “If you know your history, then you know where you come from, [and] you wouldn't have to ask me who the heck do I think I am.” If you pause to think of the simplicity of that statement but also its depth, you can understand how that was heard by Maori and migrant Pacific peoples in Aotearoa at the time. We here understood these messages — the "one love" as much as the strength of identity — so it is little wonder his music sounds as fresh and vital today as it did all those decades ago. 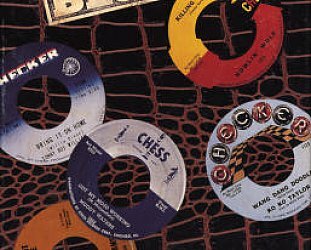 You don't need to go far to hear how reggae has embedded itself in Aotearoa New Zealand. The other day on Auckland's Queen Street I passed three buskers playing the distinctive reggae riddum on acoustic guitars. And two of them were playing songs by Bob. Marley's lyrical appeal was obvious but we also embraced reggae's easy groove which sounded almost Pacific – it's just a shift of emphasis from the famous “Maori strum” to a reggae rhythm. 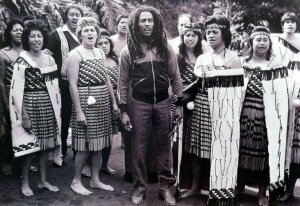 When he played to a capacity crowd at Auckland's Western Springs in '79 the charismatic Marley – who opened by shouting the wonderfully ambiguous “Come a long way” to the sea of faces in front of him — was accepted as a spokesman for ordinary people. Stir It Up, a specially commissioned collection, allows 15 local artists the opportunity to connect with the spirit of Marley and his music, but each adds their own distinctive -- and often identifiably South Pacific – take to these important songs. This collection pays tribute to all those aspects of Marley, the man who arrived as the triple figurehead of reggae, Rasta and politics. Photographer Graham Hooper –- whose previously unpublished images in this booklet and which are incorporated into the striking cover art by Askew – captures Marley in full and passionate flight, just as Askew's painting seizes on the warm humanity of the man . . . and the cover font references the protest posters at Bastion Point. 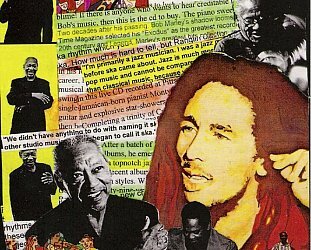 This is Brother Bob as an iconic figure, but the man himself always put attention back on the music. From Tiki Taane's electronica-infused Get Up Stand Up (with samples from Marley's singular interview in Auckland with the late Dylan Taite) through Aaradhna's dub-flavoured r'n'b treatment of Could You Be Loved to Unity Pacific's groove-riding Exodus and Vince Harder's joyous One Love/People Get Ready, this collection might use Marley as its starting point . . . but these artists offer versions which are uniquely from them. And say something about us. It is interesting to hear how malleable Marley's music is in these hands: the soulful yearn of Thomas Oliver's Is This Love sits comfortably alongside Anika Moa's delightfully exotic Three Little Birds. We embraced Bob Marley's music, especially its political resonances, as soon as we heard it. So it is significant to hear David Grace -- the songwriter, singer and guitarist with the seminal reggae band Dread Beat and Blood, whose Tribute to a Friend album included songs entitled Rainbow Warrior and Waitangi – here also. That these Bob Marley songs sound fresh and refreshed by some of our finest musicians confirms their power, but also – in these rich interpretations – just how deeply these exceptional musicians feel this music. Stir It Up is a heartfelt tribute to a legendary musician whose work, 35 years after his passing, still reaches across time and distance to be affecting and important.